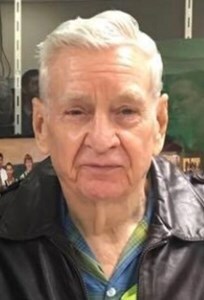 Donald Dean Smith, 87, Topeka, passed away Tuesday, January 22, 2019. He was born September 14, 1931, in Topeka, Kansas, the son of Theodore and Ufa (Andrews) Smith. He graduated from Topeka High School and served in the United States Navy. Don was a firefighter with Station 42 in Kansas City, Missouri. He retired after 25 years of service. On December 24, 1982, he married Lois Hoover in Topeka. She preceded him in death on June 21, 2018. He was also preceded in death by a daughter, Debbie, sister, Dorthy Fultz and brother, Gene Smith. He is survived by two daughters, Danielle (Jon) Bays-Broils; Debra Hoover, all of Topeka; 10 grandchildren; 20 great-grandchildren; three sisters, Delorse Collyge, Shirley Bauer, both of Topeka and Sharon Longshore, Olathe, KS and numerous nieces, nephews and extended family. Visitation will be 6:00 p.m. until 7:30 p.m. Tuesday, January 29, 2019 at Mount Hope Cemetery & Funeral Chapel, 17th & Fairlawn. Memorial services will be 2:30p.m. Wednesday, January 30, 2019 also at Mount Hope Cemetery & Funeral Chapel. Memorial contributions may be made to the family in care of the Parker-Price Funeral Home, 245 NW Independence Ave, Topeka, KS 66608. Add your memories to the guest book of Donald Smith. I will miss you Uncle Don. You were always such a warm and loving man. We were so lucky to have you for our Uncle. Now you are soaring with the angels. Until we meet again Rest in Peace Uncle Don. Deja Vu all over again. First, Clark, then Lois, then my Mom, now Don. Lois & Don were good neighbors. They have been and will be missed. Love you Uncle Don. Rest in peace.